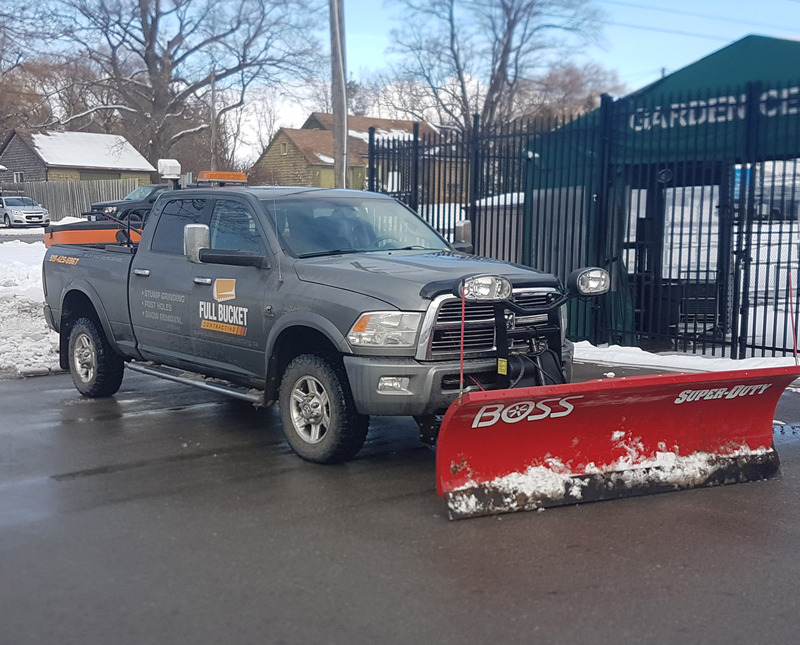 Commercial Snow Removal Services for Simcoe, Waterford and Port Dover| We offer full winter commercial snow plowing and removal services for our customers. We provide complete snow and ice management services; ice control, salting, snow hauling, snow plowing, and total snow removal. 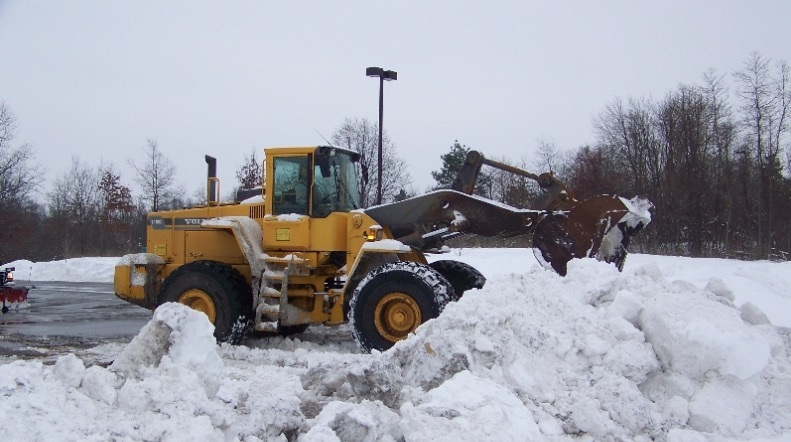 Whether you require snow plowing for a parking lot, church, grocery shopping area, medical facility, movie theatre, industrial lot, office building, farm or country driveway, Full Bucket Contracting can provide you with 24-hour snow plowing, removal, and relocation services throughout the entire winter season. We recognize the importance of having clean, well-maintained, and safe commercial areas to ensure the easy flow of traffic in business locations. Ease and accessibility are priorities for us when we work with our commercial clients. We meet with you prior to commencing work initially to discuss designated areas to clear, where to relocate snow, obstacles to avoid, and where to apply de-icing agents if necessary. Full Bucket Contracting provides salt and other melting agents as necessary upon request and with your prior approval. We employ commercial grade snow plows for snow plowing, hauling, removal, and relocation. 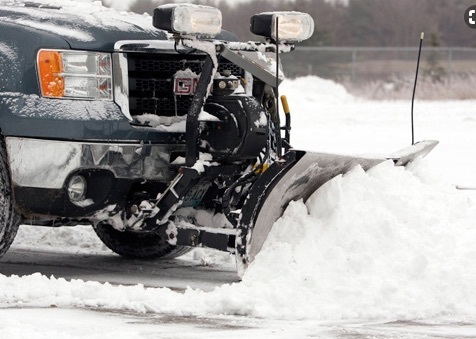 Whether you need a one-time service or ongoing snow plowing solutions for the snow season, Full Bucket Contracting can assist you with all of your winter commercial services. Our seasoned and trained staff is ready to handle any kind of snow emergency. Equipped with radio dispatches, all terrain vehicles, and commercial grade snow plows, our team members also carry maps of all sites that are clearly marked with areas for clearing and relocating snow. Call us now to schedule your snow plowing services. Call Full Bucket Contracting for all of your ice management needs. Commercial snow removal and rural snow removal is what we do. (519) 429-5967. We service the Simcoe, Waterford, Port Dover, Scotland and Oakland area.